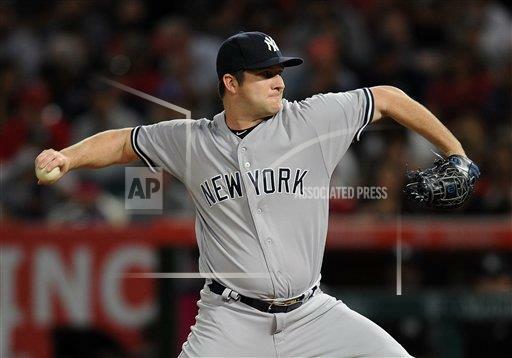 Adam Warren, reacquired from the Cubs last season, has revitalized his career after an ugly stint with Chicago. He has arguably been the Yankees best and most consistent pitcher out of the bullpen, yes even over the recently paid Aroldis Chapman and All Star Dellin Betances. Warren was a vital part of this team in the first half, earning the responsibilities of being able to successfully pitch in high leverage situations. His injury really hurt the Yanks ‘pen and was the start of the fall of the bullpen as a whole. With Warren and Chapman both down with injuries, a lot of guys had to step into roles they were incapable and uncomfortable with. Tyler Clippard really fell off during this time, having to move into an 8th-inning role. If there was anything successful about the Warren injury though, it was the emergence of Chad Green. Green and Warren have now become perhaps the two most trusted Yankee relievers this season. Warren has struck out 35 hitters in 35.2 innings with a 2.09 ERA and a low 0.79 ERA, thanks in large part to only allowing 10 walks. With Betances and Chapman likely to rebound from their first half struggles, the weakness of this bullpen should improve in the second half. Warren, Green, Betances, and Chapman would form a very dangerous and versatile foursome in the bullpen. Warren also can still give the Yanks multiple innings if needed and potentially even spot starts. With how well he's pitched out of the bullpen this season though, that's unlikely to happen. Warren may not pitch to his early season dominance in the second half, but expect him to be one of the better seventh inning guys in baseball. Warren’s success this season has made last season’s trade with the Cubs even more lopsided. The Yanks will continue to need his presence with all the blown saves from the rest of bullpen lately and his versatility may make him the most valuable of anyone else.